We are currently featuring a variety of free printable activities including Word Searches, Crosswords, Cactus Crew Web Comics, and Cuddly Critters Coloring Pages starring some cute cartoon animals. Each activity is displayed on it's own page for you to view, while the printable version (a PDF) is accessible by clicking on the "PRINTABLE" button below. If the activity has answers for display or print you can access them through the "ANSWERS" button. 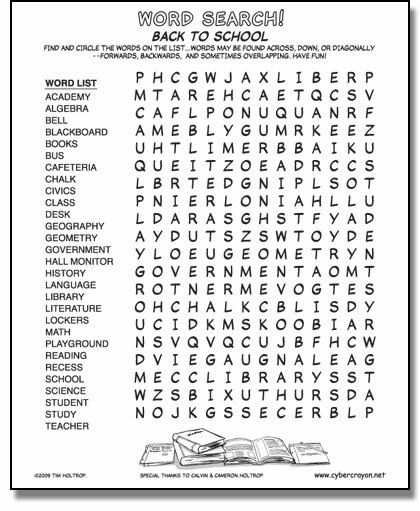 You may need the free Adobe Reader to view the printable activities and answers. We hope to keep adding more free printable activities, so please check back regularly! Grab your pencils, pens, crayons, art supplies...print and enjoy!